Warner Bros charts the rise of an unpromising film studio from its shaky beginnings in the early 20th century through its ascent to the pinnacle of Hollywood influence and popularity. The Warner Brothers - Harry, Albert, Sam, and Jack - arrived in America as unschooled Jewish immigrants, yet they founded a studio that became the smartest, toughest, and most radical in all of Hollywood. The late fifties, early sixties. In a career that has spanned more than 60 years, Robert Wagner has witnessed the twilight of the Golden Age of Hollywood and the rise of television, becoming a beloved star in both media. During that time he became acquainted, both professionally and socially, with the remarkable women who were the greatest screen personalities of their day. I Loved Her in the Movies is his intimate and revealing account of the charisma of these women on film, why they became stars, and more. In this adventure, which would have played well in one of his own films, Schmuel Goldfisz left the Warsaw ghetto in 1895. He walked 300 miles to the Oder River, where he paid someone to row him across, smuggling him out of the Russian empire into Germany, past border patrols to another long walk to Hamburg. The gleam in his eye was America, "a far-away country, a vision of paradise." Schmuel Goldfisz became Samuel Goldwyn, one of the producers who created the Hollywood film industry. By 1920, the movies had suddenly become America's new favorite pastime and one of the nation's largest industries. 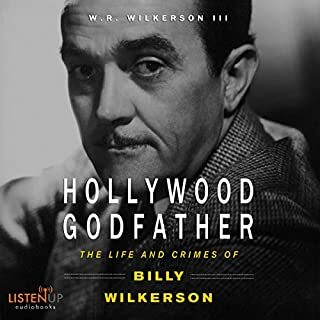 Never before had a medium possessed such power to influence; yet Hollywood's glittering ascendancy was threatened by a string of headline-grabbing tragedies - including the murder of William Desmond Taylor, the popular president of the Motion Picture Directors Association, a legendary crime that has remained unsolved until now. Ever wonder why so many B actors wind up as A-grade politicians? Or how the casting couch worked? 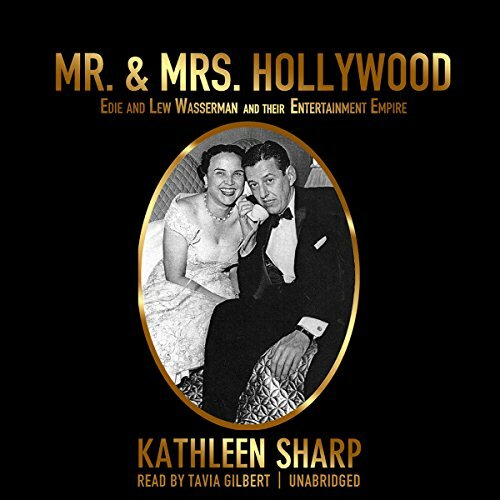 Acclaimed author Kathleen Sharp traces the influence of show business through the lives of its first power couple. Edie and Lew Wasserman built the world’s largest talent agency, MCA, created the multibillion-dollar Universal Studios, and helped shape Washington, DC. Starting from MCA’s birth in gangland Chicago, Lew represented stars such as Jimmy Stewart and Marilyn Monroe; pioneered TV with Leave It to Beaver and Miami Vice; spawned the blockbuster movie model with Psycho and Jaws; and developed a mega–theme park. 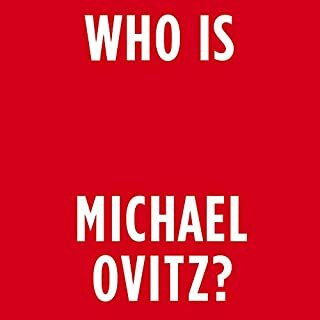 His savvy wife, Edie, was the daughter of a mob attorney, the queen of A-list parties, and Lew’s secret agent who boosted their status. Yet, the couple was attacked by rivals, federal prosecutors, and their own protégés. Even so, over the course of seven decades they managed to vanquish their enemies and parlay their influence far beyond Sunset Strip into governors’ mansions, Senate chambers, and the White House. At the end, Edie and Lew became diplomats, kingmakers, and philanthropists, who elevated the fortunes of middle-class workers and California itself. 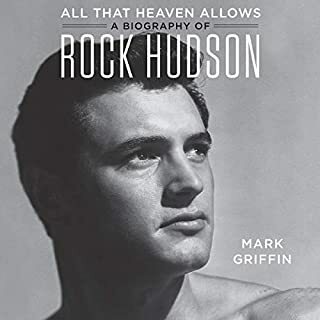 Based on some four hundred interviews, this book features Janet Leigh, Clark Gable, Grace Kelly, John Belushi, Jean Stein, and Steven Spielberg along with the Kennedys, the Johnsons, the Reagans, and the Clintons. 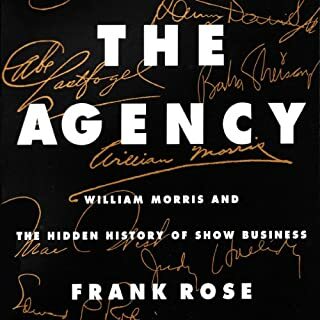 It’s a fascinating read about how two kids from Cleveland created the largest entertainment conglomerate in the world and wound up ruling twentieth-century America. Best Book I Have Heard In A Long Time!!! What did you love best about Mr. & Mrs. Hollywood? I loved how well Kathleen Sharp kept the book interesting by weaving back and forth among the decades while telling stories from different angles and how well narrator Tavia Gilbert did in performing this immense amount of text. With their mix of talents, this book could have been twice as long and I still would have craved for more. It truly was an addiction to listen to, and that is a credit to not only the topic, but the writing and performance. I loved the book so much that I found a first edition on Ebay to give to my mom, as I knew she would love it as well. But nothing can beat having the book read to you so masterfully!!!!! 5 stars in all catergories!!!!!!! 6 if I could give that many!!! What was one of the most memorable moments of Mr. & Mrs. Hollywood? Finding out the stories behind the Hollywood we know. How deals came together, power came to be, and how some of our favorite movies came to be. There are truly too many great and enjoyable stories to count but the first to come to mind is the realization of how activities at MCA would one day be replicated in the political world. Iran Contra was not the first time Ronnie relied on not being able to remember!!! YES!! While I believe it was over 25 hours, I hated when I had to turn it off. 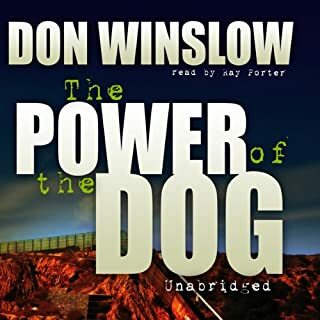 I listen to my books during housework, while driving to and from work, etc. I found reasons to listen to this book!! With the 25 hour run time and the sample that was provided, I was afraid this may be dry material. 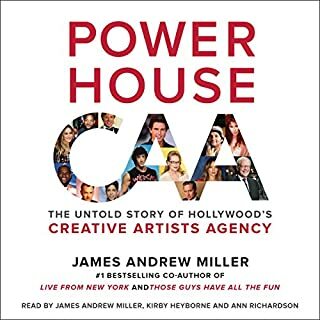 I can assure you that the sample provided is the slowest part of the book and that once it takes off with mergers and management, if you have an interest in Hollywood and power brokering, you will love this book! I cannot say enough good about Mr. & Mrs. Hollywood!!!! Thank you to the author and narrator for a fantastic experience.